The 1931 film of Bertold Brecht’s The Threepenny Opera exists in two versions. Made by GW Pabst in the early years of sound it was filmed in its first version with a German speaking cast. The set was then reused with a different cast recording the film in French (a planned English version never happened due to budget restraints). What Pabst produces is a film in two formations, which are parallel in their landscape and sets. What becomes interesting however are the slippages and fluctuations in meaning between the two casts and languages, with each film having its own identity, nuance and ambiguity. The exhibition A Threepenny Opera brings together a set of works that use the idea of staging to articulate a multiplicity of languages and interpretations. The exhibition takes the idea of different languages or casts existing within one set as a way of looking at how certain artworks deal with the idea of the stage or prop as a setting for multiple vocabularies, readings or narratives. Mark Wallinger’s The Magic of Things (2010) consists of scenes edited chronologically from every episode of the 60s television show Bewitched. The film is made up entirely of the scenes that feature magical acts without people. Wallinger extracts his own narrative that is both within and parallel to that of the original series, a narrative in which the sets themselves become the actors. 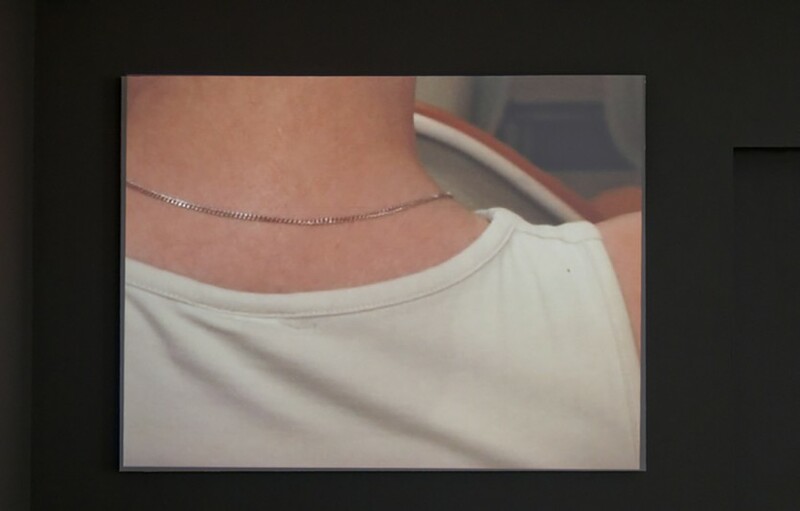 Sets becoming participants is also key to Cara Tolmie’s Room Studies (2010). 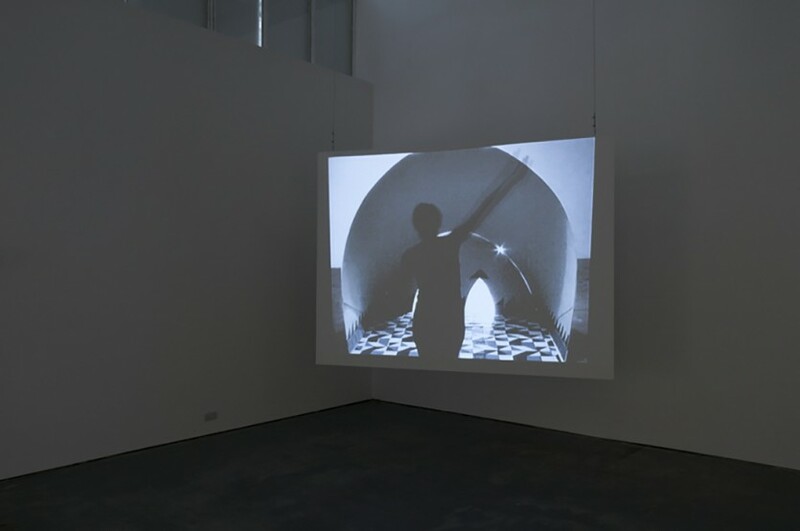 The film presents a series of interior sets that are projected as images on stage while Tolmie performs corresponding texts and sound tracks for each. 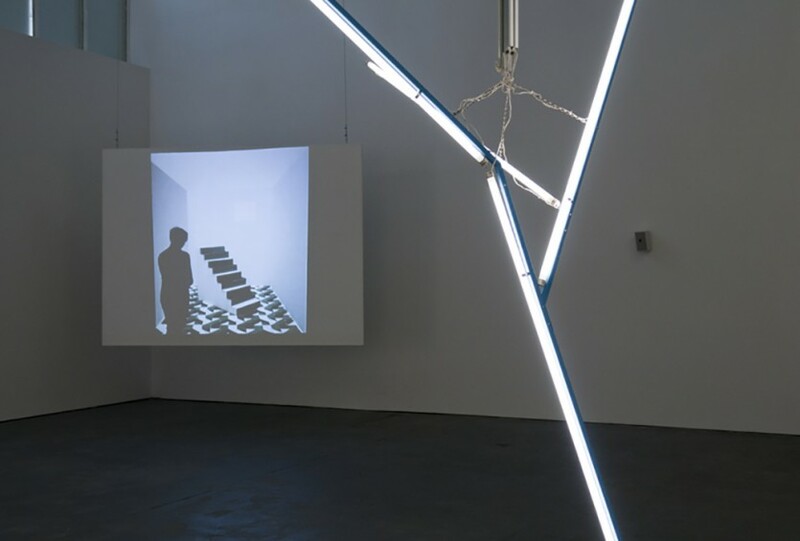 These layer up a variety of possible interpretations and meanings upon each projected stage set, with the viewer left to weave and infer their own narratives upon the empty sets. Martin Boyce’s installation Our love like flowers, the rain, the sea, and the hours (2003) stages an urban landscape in which the materials of the industrial world become representational props to suggest a site of social interaction. Boyce constructs a web of associations around these urban sites through a sculptural process of abstraction. 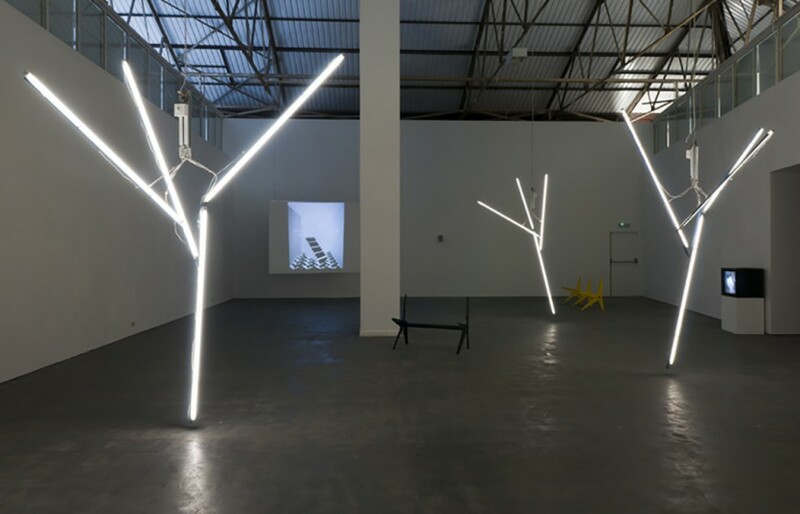 These prop like sculptures inhabit the exhibition space as bare, staged representations of the forms of trees and benches that they stand for. 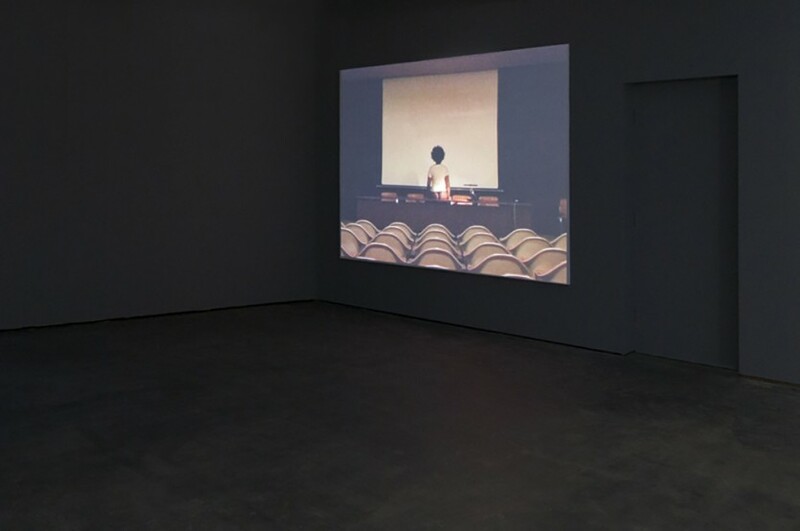 Auditorium (2005) by Claire Hooper exists as a set of ‘frames within frames’. It was shot in the Musée National de Beaux Arts de la Ville de Dun¬kerque, in the 1960’s Modernist auditorium. The action takes place in this empty auditorium, the camera moving and occupying the space, heightening the set like nature of the location. The sound of a slide projector punctuates the film, introducing each new character into the cryptic and seductive interior and entering them into a play of narrative ambiguity. This ambiguity shifts the attention to you as viewer with the realization that the film is staging the audience itself in a complex interplay of seduction and reflexivity. 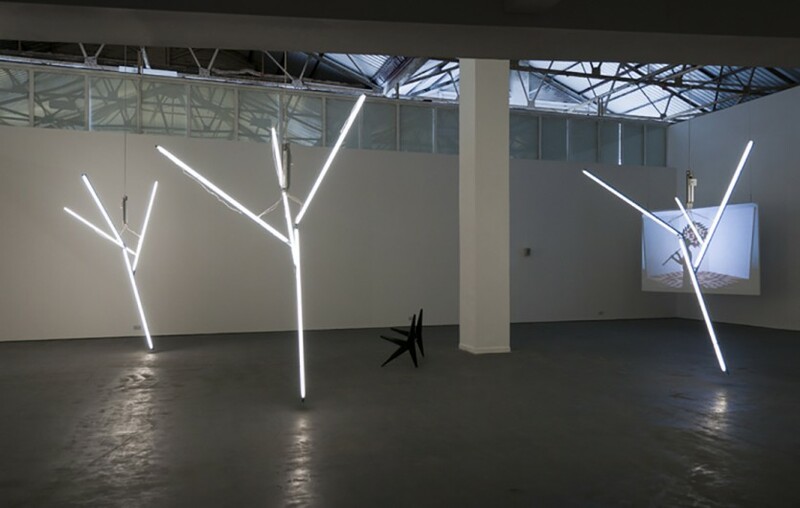 Martin Boyce was born in 1967, Glasgow where he lives and works. 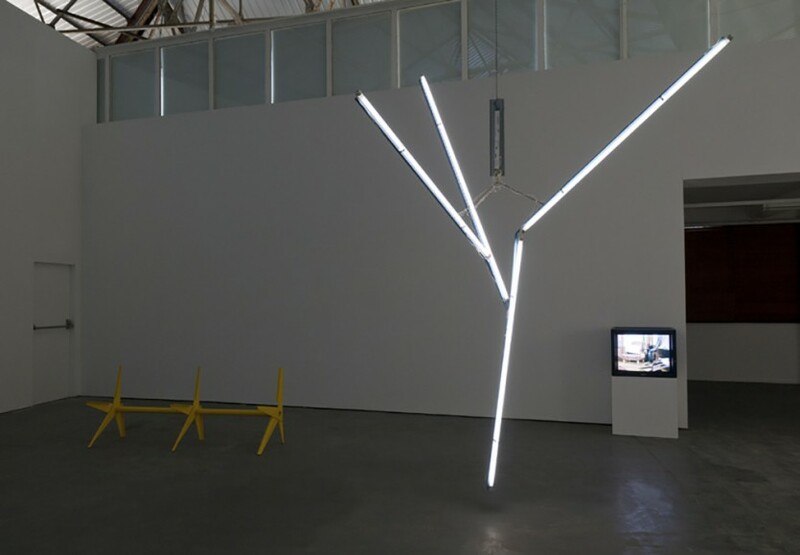 In 2009, Martin Boyce represented Scotland at the Venice Biennale and has been short listed for the 2011 Turner prize. 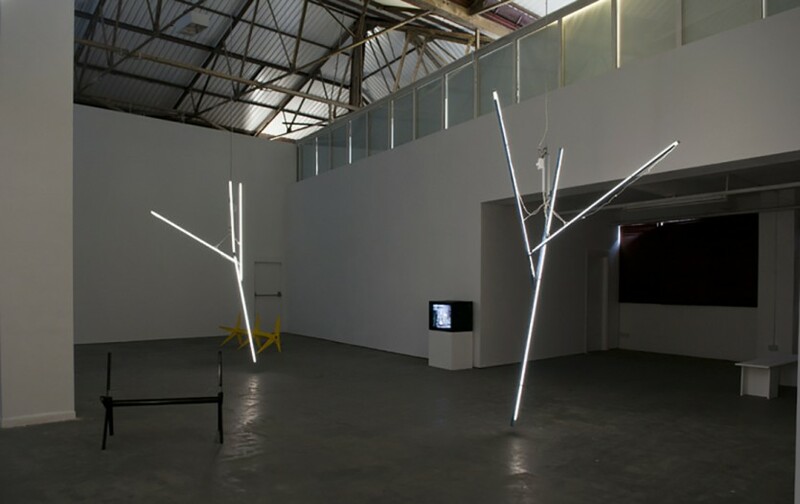 Parallel to A Threepenny Opera, his work can also be seen in night terrace – lantern chains – forgotten seas – sky at The Modern Institute/Toby Webster Ltd, Glasgow until 25 June 2011. Claire Hooper was born in 1978, London, where she lives and works. She was a Baloise Prize winner at Art Basel 2010. 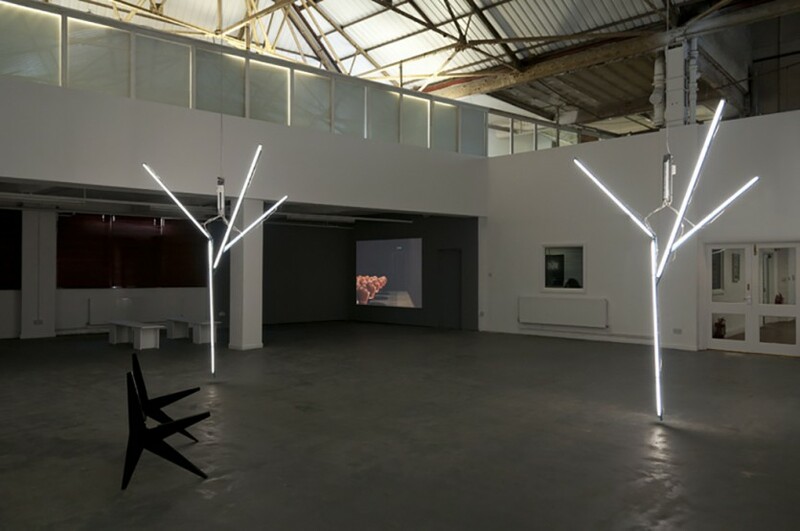 Forthcoming exhibitions include a solo show at Lothringer13, Munich in September, and at MUMOK, Vienna in November; her work can also be seen in Young London, The Biscuit Factory, London until 30 July. Cara Tolmie was born in 1984, Glasgow, and is currently based in London. 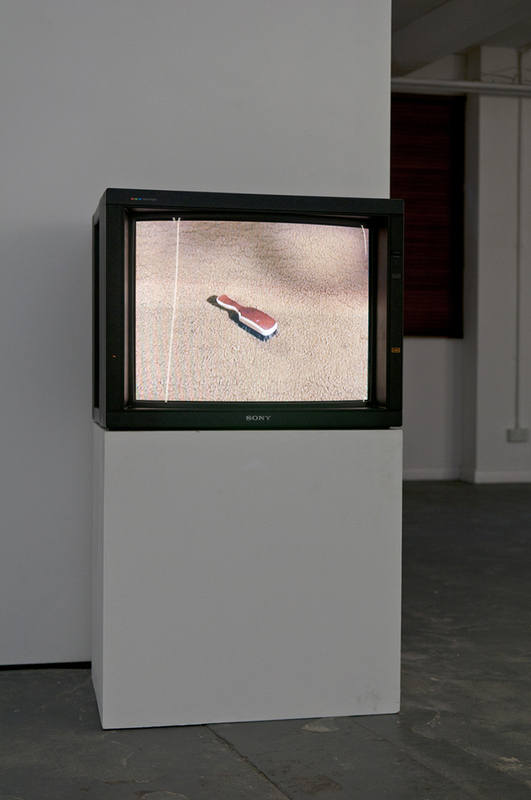 Tolmie was a Transmission Gallery Committee member and part of the LUX Associate Artists Programme. 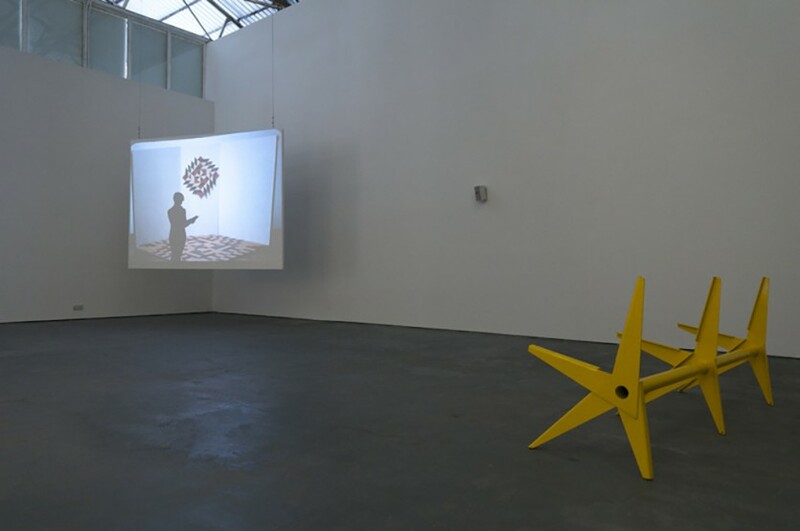 Selected exhibitions include 21st Century, Chisenhale, London, 2010, The Biscuit Factory, London until 30 July; her work can also be seen in Read Thou Art and Read Thou Shalt Remain, Dundee Contemporary Arts, Dundee until 30 July. Mark Wallinger was born in Chigwell, 1959; he lives and works in London. He won the Turner Prize in 2007. Wallinger was awarded Ebbsfleet Landmark Project Commission and he will also be working with Chris Ofili, the National Gallery and the Royal Ballet on a project for the 2012 Olympics. Forthcoming shows include Mark Wallinger, De Pont, Netherlands in October 2011.